When Mom’s (84) Alzheimer’s causes her to lose the ability to handle a task she’s done all her life, she becomes frustrated. She’s very sweet and easily distracted so I’ve had some success calming her. What I need is a way to reduce the incidents of agitation. Every Alzheimer’s patient experiences the disease’s symptoms and losses differently. Each frustrating episode of loss can trigger different reactions in the same person. Help minimize Mom’s agitation and frustration by limiting her daily challenges. Create a daily routine. Help make Mom’s day more predictable and less confusing by scheduling activities at the same time every day. Schedule disruptive tasks (bathing, doctor visits) during her calmest, most agreeable time of day. Allow more time. Reduce agitation and frustration by scheduling enough time for Mom to complete tasks without hurrying her. Don’t take over. Allow Mom to do as much as possible with the least amount of assistance. Example: hold up two blouses and let her choose the one she wants to wear. If Mom can dress herself, lay out the clothes in the order they go on and stand by to help if necessary. Eliminate belts or accessories that are likely to be put on incorrectly. Use short phrases with demonstrations. If you want Mom to sit down, put your hand on the chair and say, “Sit here, Mom”. Try to use the same words every time you make the same request. Reduce distractions. Moms can no longer multi-task. Turn off TV, cell phone during mealtimes/conversations to help her focus on the task at hand. Remain flexible. Mom’s ability to function will steadily decline. Stay alert and adapt Mom’s routine as needed. 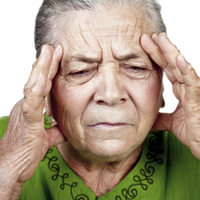 Alzheimer’s symptoms change as the disease progresses. Call Alzheimer’s Community Care (772-223-6351 (Martin772-223-6351/St. Lucie- 772-460-9166; Ft. Pierce- 772 466-3261); the Alzheimer’s Assn. (800-272-3900); or Alzheimer’s/Parkinson’s Assn. (Vero 772-563-0505) for the coping skills that you’ll need to continue helping Mom.